Even though the skills of children with ASD can range from very high to very low, they have similar underlying learning systems. Book discusses these learning systems & helps provide direction for choosing effective assessment and intervention methods for helping individuals with ASD learn to behave, to perform academically, and to become socially competent. 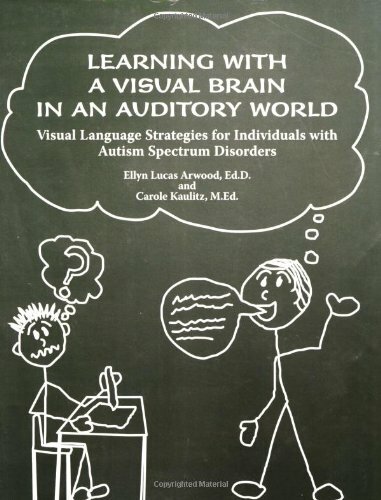 Even though many scholars recognize that individuals with ASD use "visual" ways of thinking, most fail to realize that a visual mental language is different from the visual sensory system of seeing something. Visual learning.